The Room service is super slow- so went to the restaurant to eat, and it was even slower! Very polite & helpful staff. The Rooms need revamping. Excellent spacious rooms, very diligent staff with perfect logistics organisation, a great large buffet for breakfast or meals, long-enough a pool (albeit cold). staff quality, ignore my request several times no responsibility. this is india, nice staff though. breakfast was good! I was on business travel to Gurgaon. 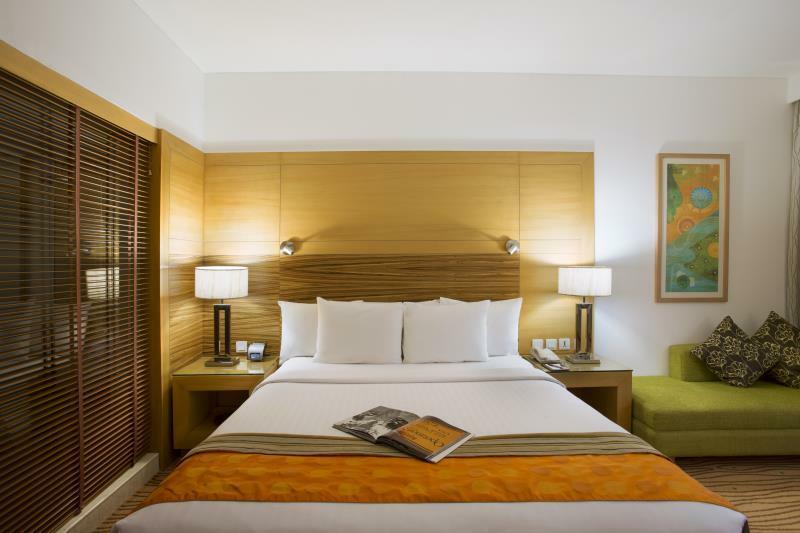 COurtyard Marriott is a nicely maintained property with good number of rooms and all facilities of a five star. Staff was well mannered, though many too young girls & guys managing almost everything! I enjoyed the ongoing Thai Food Festival a lot. The preprations were simply awesome. Overall all good experience. Although it was a bit overpriced. Perfect as usual. From the shuttle that picked me up at the airport to the check out everything went very well! Good hotel, real 5 stars, very efficent and friendly staff. What' else? we had foreign delegates for whom we got this hotel booked. they were more than happy and took a good reviews for the indian hospitality in context with india. Staff in the front desk, restaurant, room service , everywhere were very freindly & helpful. Nice rooms too. getting a transport to anywhere was never a problem. the staff at the lobby, restaurant and housekeeping all had a great attitude willing to go the extra mile to help you & serve you. great, comfortable rooms with a good selection of foods in the room service menu. only few complaints i have is that the ironing board had a very short cable making it hard to place it somewhere near to a power socket and still have room to stand and iron my clothes comfortably.secondly the floors of the bathroom were very slippery and gets very wet after a shower and a fall has to be avoided by walking slowly & carefully. if the floor had a rough surface at the entrance/exit to the shower section it would be great. the staff looked after us well. 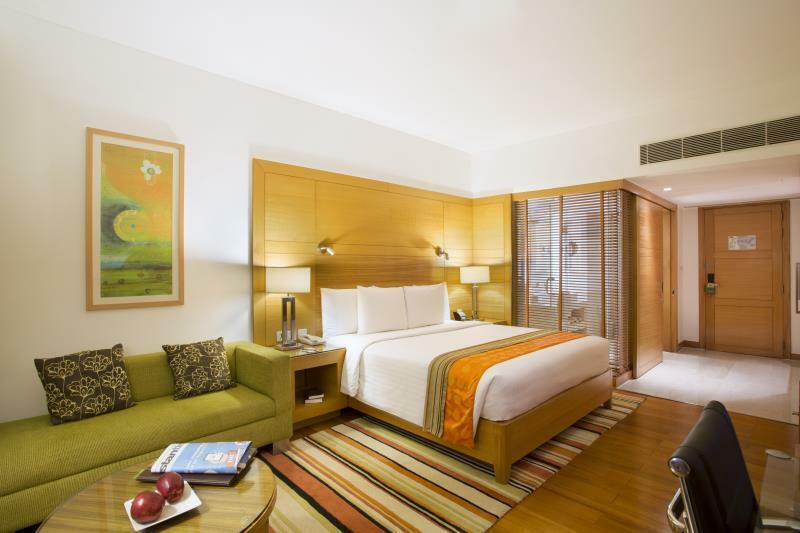 i stayed in the courtyard by marriott gurgaon for just one night on a business trip. the rooms are really ok with nice bathrooms. the asian restaurant serves really nice food. the staff was friendly. 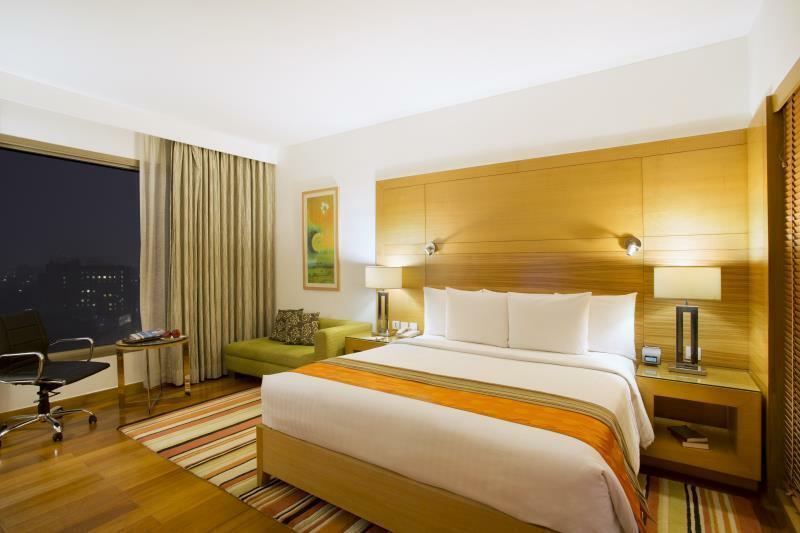 overall the marriott courtyard is a good average business hotel. nothing exceptional but also nothing to complain. if you want to find a hotel next to the airport, this hotel do the job. 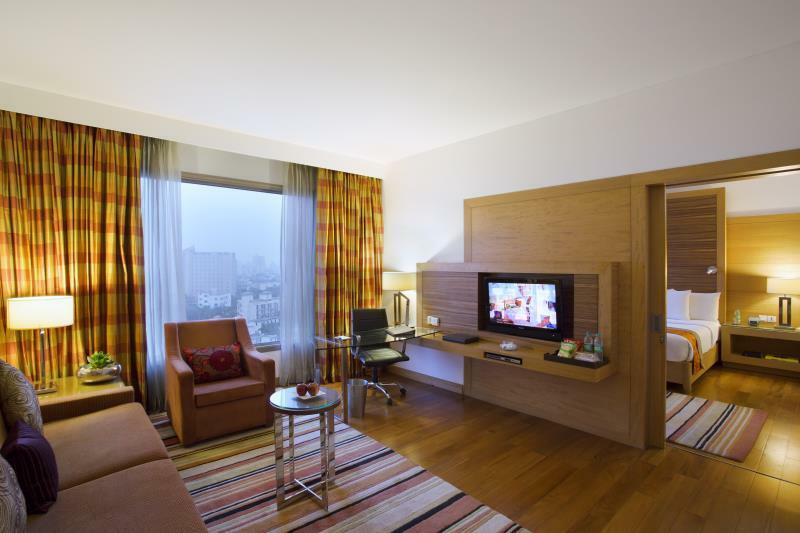 there aren't many hotels in gurgaon and i recommend this one. it is worth a 5 stars which is not very common in india. the staff was very very friendly and efficent. breakfast was good and hotel shuttle efficent. if you want to go to the city center this place is far. 1hour by taxi. i will come back. Bathroom was really nice, space within the room. The facilities are very nice. Staff service ranged from bad (highly inflexible; one tried to upsell me a package when I was checking in when we were trying to clarify what we purchased) to non thoughtful (room for 2 only had bathroom amenities for one to the very good (concierge). Provision of bottled water is very generous though. Unlikely to recommend this hotel. My stay could have been so much better; however, the shower (no tub) drain did not work properly so water spilled from the bathroom to the bedroom. In addition, the Internet service was lousy although the hotel charges a premium (almost $45/24 hrs) to use the service. Last, but not least, there were alarms going off from about 2:30a - 4:30a so sleeping was not possible.